Mercedes Ramirez Johnson » COSMO! Holy smokes… I’m in COSMO! 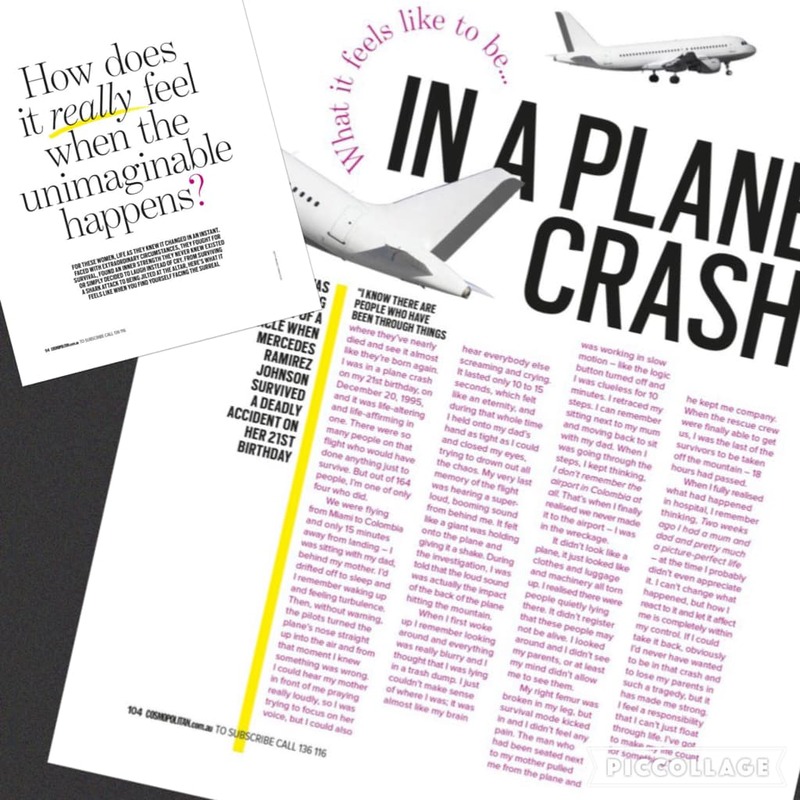 Thanks to Mel Evans and the great people at Cosmopolitan Magazine Australia bureau for including me in their series “How Does it Really Feel When the Unimaginable Happens?”. Ok so maybe it’s not as the cover model but I never would have imagined as a kid that I’d be in a major international beauty and fashion magazine! I hope the story of my plane crash can be informative and inspirational to its readers. My inner 16 year old girl is bouncing off the walls at this neat milestone.